Arriving to Perth from London in 1988, My family and I settled in Halls Head and have remained there for 29 years. My three children attended the local schools and are now adults themselves. 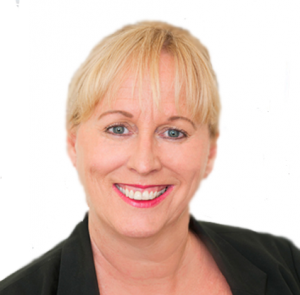 I started my Career in Real Estate in 1994 and I have worked through the ranks of the office from reception/admin, property management, sales representative and office manager. After a short break I am excited to be joining Jill Duffy as Sales representative at Duffy Real Estate bringing a wealth of knowledge and years of experience. My motto is bringing to you exceptional customer service and I will make your Real Estate experience a very pleasurable one. I am originally from London, grew up in Kwinana and then spent many years in Kalgoorlie. I worked in real estate as a sales consultant and developing property. I left Kalgoorlie to travel the world in the music industry, from LA to Nashville, NYC to Sydney but now I have come home to Mandurah. I have now worked in the Real Estate Industry for 26 years and have always wanted to have my own Real Estate Business so that I could afford to offer personalized service at exceptional prices. 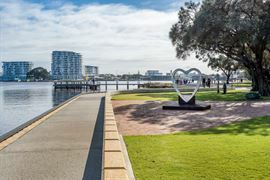 I moved to Mandurah 12 years ago. I used to come here when I was a child for the holidays and always knew I would one day live here. I love animals and belong to many animal charities, plus I do dog walking for the sick and elderly. I love the waterways, the parks and the wonderful people. I bring with me my exceptional negotiating and management skills and business acumen. I give to you my integrity, honesty and willingness to work with you as a team to assist you in all your real estate needs. Let’s work together in building your portfolio in Real Estate. I will listen, understand and work hard to achieve your goals. Your satisfaction is my guaranteed happiness. 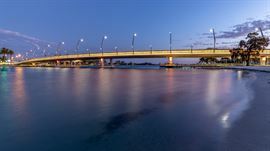 I love living on the canals and working in our beautiful City of Mandurah. I am originally from Kent in the UK, but I’m an ‘Aussie’ at heart, having been in WA since I was 4 years old. I grew up with both parents being real estate agents for many years. 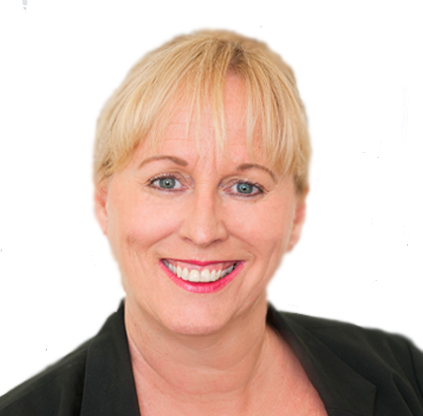 I have gained over 20 years of experience myself in marketing property, including 5 years at REIWA, 2 years in sales and rental administration plus 13 years as a ‘local’ Real Estate Advertising Manager. I hold a Diploma in Business Management as well as my Real Estate Registration. As both an owner and property investor for many years myself, I have managed my own rental properties and have a passion for hands on renovation projects. I value my reputation for exceptional client service and follow up skills. You and your property are my priority! I fully understand the importance of Your Biggest Investment!